Our Planar diesel heaters are specifically designed for well ventilated spaces and are most popular with campervans and motorhomes. 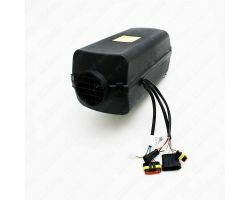 These heaters function by blowing hot air from drawing on fuel directly found from a diesel tank. 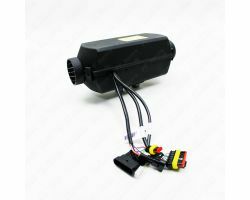 Built with brushless motors, the diesel heaters are quieter when in use so there is no loud noise providing any disruptions or discomfort. Compared to other rival diesel heaters, the Planar heaters offer a longer duration period so you receive the most out of your investment. Altogether, each heater is affordable as it produces heat at low costs and all replacement spare parts are also at low cost, meaning in the case of a repair the required value is not extreme. In all, each diesel heater is EU certified providing excellent quality and safety guarantees. Since production of Planar products started in 1995, Autoterm have been the official representative of the third largest autonomous heater manufacturer company in Europe. UK Planar’s main aims are; development, production and quality service support, of which they excel in. The company’s diesel heaters are designed to work in tough environments and offer low fuel consumption so that they offer reliable longevity. As a whole, the diesel heaters efficiently work in military vehicles, boats, vans, motorhomes and emergency vehicles to name a few. Requiring very little maintenance, the products dependability is the ideal solution if you are in need of a diesel heater long-term. There are many advantages to Planar heaters so be assured in the knowledge that their products have the ability to meet any requirement.